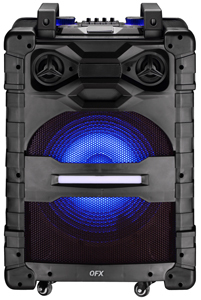 QFX’s High Powered Pro PA Speaker has your back for all your party needs. 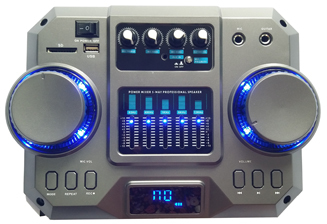 Stream your favorite songs through Bluetooth, FM radio, or USD/SD playback while RGB LED panels dance to the beat. Hosting a concert event or karaoke night? Plug a microphone or guitar into the inputs and jam out all night- or use the recording feature for your debut album.